It's all about the lens with these riding glasses. Primarily for daytime use these glasses make everything crystal clear and sharp. They offer superior clarity and there is no peripheral distortion. The ultra light satin black wrap around frames feature a soft to the touch feel for all day riding comfort. These sunglasses feature a forward nose bridge. The forward designed bridge allows the the vented foam interior to be closer to the face than other style sunglasses. The vented solid foam is soft to the touch and very comfortable when riding and does not absorb perspiration like other designs. There are lots of riding sunglasses on the market but you can't beat these sunglasses. They may be the world's greatest motorcycle sunglasses and they are under $20. Comes with a Free cleaning & storage pouch!. Reasonable priced, these sunglasses are just the ticket for riding safety, comfort & good looks. 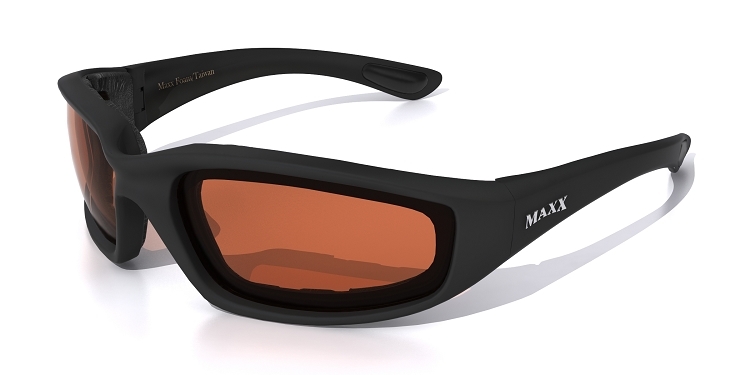 These sunglasses will make a great addition to your ridding gear!